UNIMED visited on June 27, 2018 Birzeit University. Birzeit University is an active member among the 112 UNIMED members coming from 23 countries of both shores of Mediterranean. This longstanding partnership aims at promoting the international aspect of universities, planning and funding activities, promoting mobility, capacity building and research. 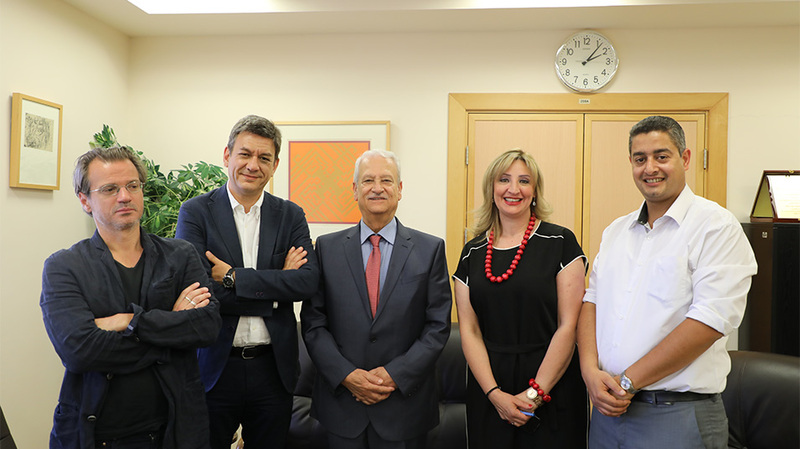 Prof. Abuhijleh, President of the University, and Mr. Scalisi, UNIMED Director, discussed the prospects of strengthening the cooperation especially in capacity building projects through Horizon 2020; which is the biggest European Union Research and Innovation program.